You would have thought Porsche had run out of ideas for new 911 variants by now, but apparently not. 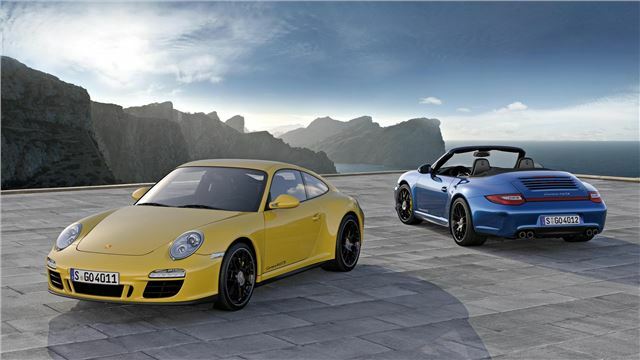 They’re to introduce a new Carrera 4 GTS model in July, available as both a coupe and a cabriolet. The former will be priced from £83,145 and the latter from £90,024. The Carrera 4 GTS will feature all wheel drive and be powered by a 408hp 3.8-litre flat six. This engine is based on that of the Carrera S, but with a comprehensive redesign of the intake duct, improving power output over the S by 23 horsepower. A sports exhaust, finished in black, delivers a distinctive exhaust note. The engine has a wide torque band, with 320Nm available from 1,500rpm and peak torque of 420Nm available between 4,200 and 5,600rpm. The coupe version can reach 62mph in 4.6 seconds and the cabriolet in 4.8. If a PDK dual clutch gearbox is specified then both of those figures are reduced by 0.2 seconds. Average fuel consumption is 26.9mpg, with CO2 emissions of 247g/km. Cosmetically the Carrera 4 GTS is slightly different to other Carrera models. It features a new front apron, different side-skirts, and a reflective rear strip between the headlights. It’s fitted with 19-inch RS Spyder wheels, and the interior is trimmed in Alcantara. The Carrera 4 GTS will be available in the UK from July 2011. Buyers will be given the option of a complimentary course at the Porsche Experience Centre, Silverstone.